He arrived at 1:17 pm on Thursday, Dec. 7th, and weighed 7 lbs.10 oz., 20 3/4 in. long. 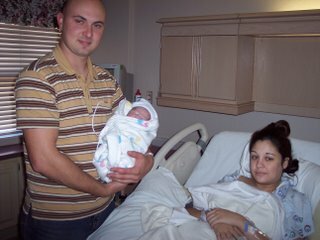 Nicole & Travis were truly blessed with a wonderful labor & delivery. We are making this blog to keep everyone up to date on what's going on here at Snyder Farms! We hope you enjoy the time you spend on here! Thanks for stopping by! This is a Flickr badge showing photos in a set called Kolache Festival 2006. Make your own badge here.